Would be the largest and longest-running upscale antiquing event in the U.S. The show features a vast selection of exceptional antiques year after year. Items range from a variety of historical time periods including the Renaissance, Georgian, Art Nouveau, Edwardian, Art Deco, and more. 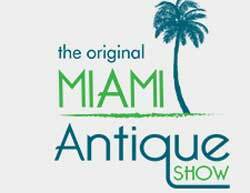 On the show floor, attendees can explore a variety of antique treasures such as fine art, American and European silver, antique jewelry, fancy colored diamonds, clocks and timepieces, Asian antiquities, rugs, porcelain, objects of virtue, and much more.